Gunmen on motorbikes have shot dead four people from the Hazara People community in the Pakistani city of Quetta, police say. No-one has claimed responsibility for the attack, which police say bears all the hallmarks of a sectarian attack. All those killed were workers in the city’s busy scrap market. Hundreds of the Hazara People have been killed in Pakistan since 2011. 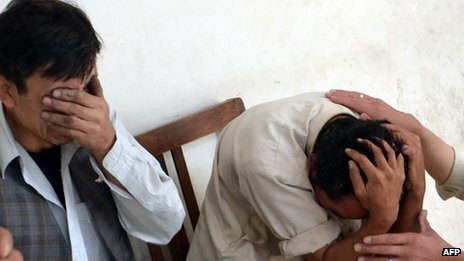 Most of the deaths have taken place in Balochistan, of which Quetta is the capital. The million-strong ethnic Hazara community have been the focus of many of the attacks over the last 20 years. Officials blame Pakistan’s most powerful extremist organisation, the pro al-Qaeda Sipah-e-Sahaba – or Soldiers of the Companions of the Prophet – for most of the violence against them.